The importance of children in Mexican culture is shown by the extensive corporate and government support for this Design for Change program. This Spanish language video has English subtitles. Will Richardson explains why "teaching to the test" works well for test prep but fails as education. He points out that effective education must teach students how to learn rather than feeding them information that will be quickly forgotten and often will be outdated by the time they graduate. This short clip from a bigthink.com interview with Alison Gopnik reveals what most schools don't understand about young children's minds and how this can be fixed. The full thirty minute interview is also available on the site. This brief video highlights an award-winning school design in Indonesia called the green school. Made almost entirely of bamboo, this school's focus is on holistic, environmentally conscious education for young children. This website is home to an innovative school called Knowmads based in Amsterdam whose "aim is to educate young creative entrepreneurial spirits." This is a "school for people who want to make a positive difference in this world." 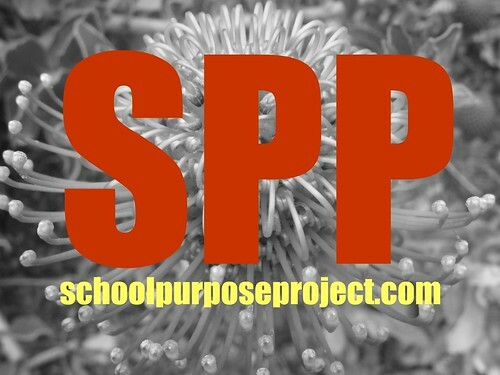 Visit the School Purpose Project site and contribute your voice by answering the question "What should be the purpose of school?" The Independent Project is a student-run school-within-a-school in Massachusetts started after one student realized that engagement and mastery were missing from most of classes in his school. This site includes a white paper that outlines the details of this project. Voices from the New American Schoolhouse is a website promoting a documentary about Sudbury Schools, the only democratic school format to be replicated successfully worldwide. The site includes the film's trailer, transcripts, and information about Sudbury Schools. UnCollege is a social movement changing the notion that going to college is the only path to success. The UnCollege crew empowers students to hack their education through resources, writing, workshops, and community. They believe that everyone can live an UnCollege life by hacking their education. This book "is an exploration of the art of the possible, a reference point, a confidence builder, a troubleshooting guide, a tool, if you will." For some who have used it while starting their own schools, this book is indispensable. "Thirty-five visionary educators were asked: What was your schooling like? When did you realize that there is a need for an alternative approach? What have you done since to help realize that vision? What are you doing now? Turning Points is an anthology of their responses, a peek into the lives and journeys of these pioneering individuals who have--and are--transforming what it means to be a teacher, a student, and a life-long learner." Yaacov Hecht, founder of the Democratic School of Hadera in Israel, explains how he went from a child who couldn't read to a leader of education reform. "As he recounts the founding and early years of the Democratic School of Hadera, Hecht weaves the stories of students, teachers, and parents, together with theories of education, development, and methods of teaching." "This enduring classic of educational thought offers teachers and parents deep, original insight into the nature of early learning. John Holt was the first to make clear that, for small children, 'learning is as natural as breathing.' In this delightful yet profound book, he looks at how we learn to talk, to read, to count, and to reason, and how we can nurture and encourage these natural abilities in our children."